MoJo Promotions provide a superb collection of personalised assorted products, all created to be custom printed with your design. Assorted Products provide a splendid way to advertise your brand. The practical nature of personalised assorted products is ensured to ensure your advertising aims are met. 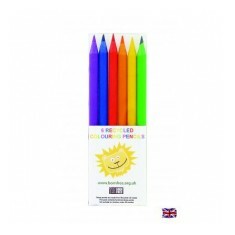 Our catalogue includes - Recycled Mini 6 piece Colouring Pencil Sets. All of our merchandise can be personalized to suit your intents, please contact us for more information. Made from recycled UK CD cases and manufactured in the UK. Packaging made from..